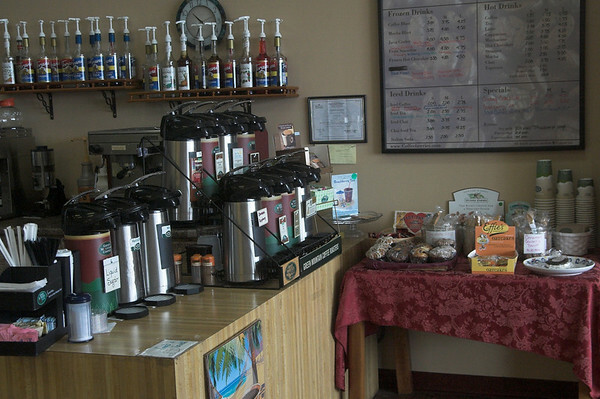 Coffeeberries in Londonderry has provided more than just quality coffee products to local patrons of all types for more than fifteen years. Owned and operated by Christine Adie for the last six and a half years, the store has recently undergone restorations, nearly doubling its floor space. 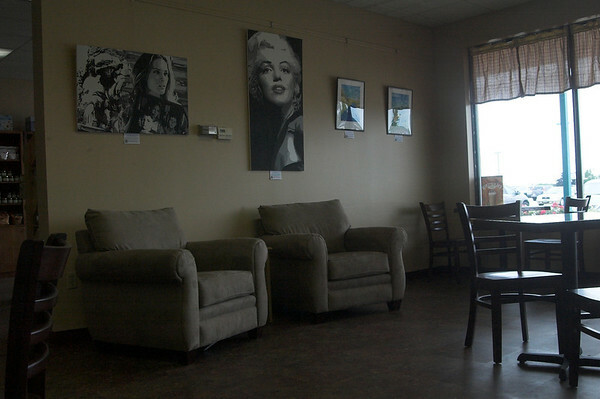 Adorned with artwork by local artists and high school students, the new space features a “cafe” style seating area with wireless internet access that welcomes businesspersons, young adults, and more. Since the completion of the renovation, Adie says that the seating offers a better atmosphere than the chain restaurants and cafes and seems to draw a new crowd of people. Coffeeberries offers a full “coffee bar” which features about eight flavors of hot coffee on a daily basis, as well as about seven or eight iced coffee flavors daily. The staff can also make a number of coffee drinks, including lattes, cappuccinos, frozen and iced coffees, and will work with customers to create the perfect coffee drink. Though the shop doesn’t bake its own foods, it does sell a number of locally produced foods. 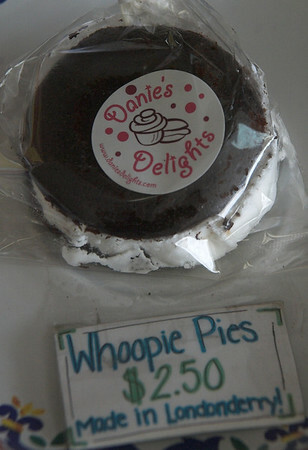 Some coffee roasts come from Manchester and Nashua, while baked goods like whoopie pies and cookies hail right from Londonderry. 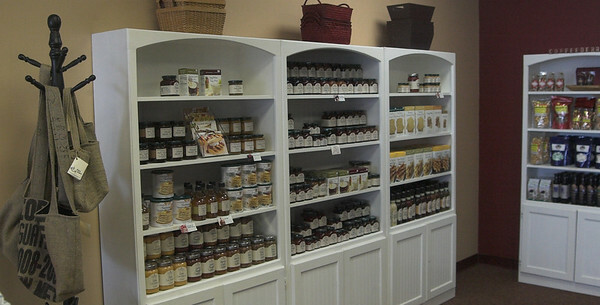 Stonewall Kitchen, a line of fine products made in Maine, as well as Java Jayne products, honey from the southern New Hampshire area, and more are available for purchase. 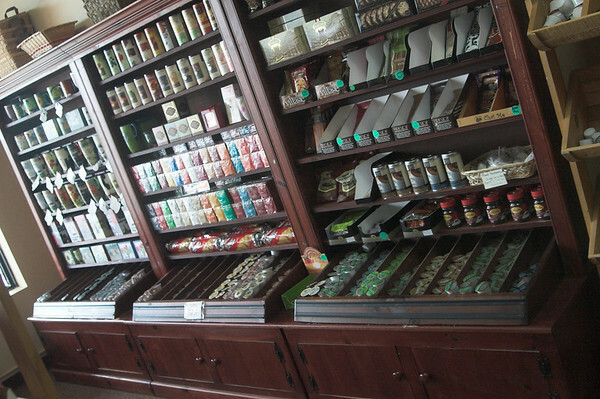 In all, the store sells about forty flavors of beans and a number of k-cup flavors. One of the best features is the “pick your own” k-cups, which allows customers to mix and match a number of flavors, or just pick up one to sample. Customers are welcome to buy the whole beans or can have the beans ground in the store before taking them home. Adie also explained that the staff is very good about holding products for customers, as well. Be sure to make a stop into Coffeeberries today to sip a cup of java or take home a few k-cups, beans, or locally produced products! Coffeeberries is located in the Appletree Mall at 4 Orchard View Drive. Visit them online.